Maybe you are looking for a quiet little spot to build. Perhaps you want to find your little hunting spot that still fits your budget. May you just want to own a little land since we all know they aren't making anymore. Here is your chance to pick up a great piece of timbered land for what ever your heart desires. 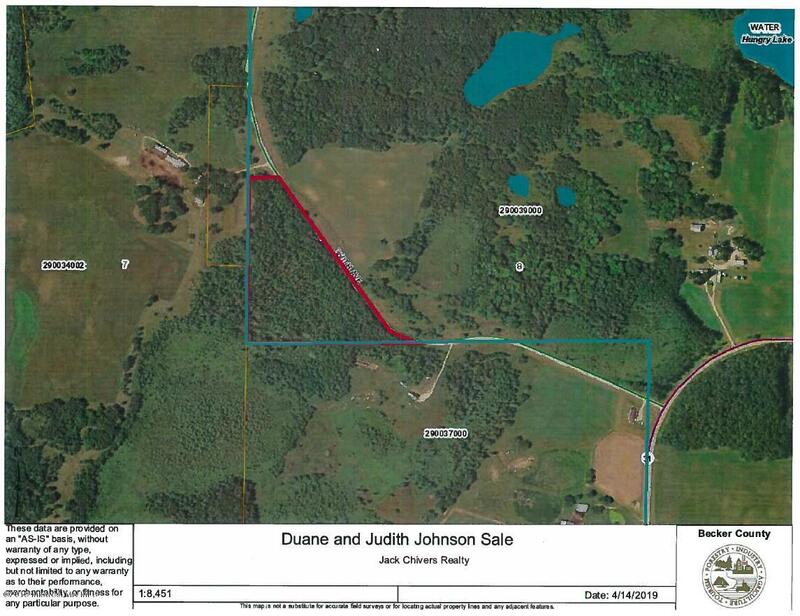 This property is 17+/- acres of heavily wooded land in rolling hills country. Extremely scenic area of Becker County. Property to be surveyed off at time of purchase and seller willing to split off more if needed. This is your blank canvas! Listing provided courtesy of Jason Witzke of Jack Chivers Realty.